A contemporary look, whilst retaining a few of the original features resulted creating a comfortable and relaxing atmosphere. All those who have frequented the Royal past and present have welcomed the results. 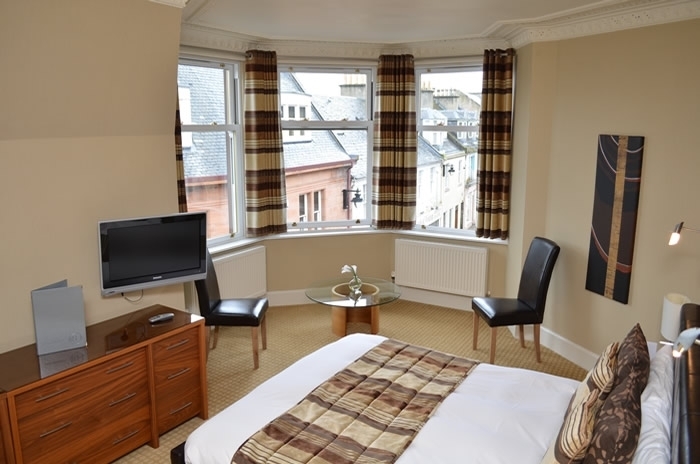 The Royal Hotel was built in 1892 by R J Barrowman, and has proven over the years to be a figurehead of Cumnock town centre-- Set opposite the old church and historic square where monthly farmer markets take place. The hotel with its Victorian Façade was extensively refurbished by current owners Robert and Vivien Kyle in 2006. A contemporary look, whilst retaining a few of the original features resulted creating a comfortable and relaxing atmosphere. All those who have frequented the Royal past and present have welcomed the results. The Royal Sports Bar located on the ground floor, has a spacious bar area with air conditioning and shows most major sporting events. The first floor lounge area welcomes guests to have breakfast, relax with a coffee, or enjoy a light meal from 9 am each day. The restaurant has the capacity to seat 60 guests, and our extensive menu offers lunch and dinner from 12pm- 9pm each day, catering for all tastes. 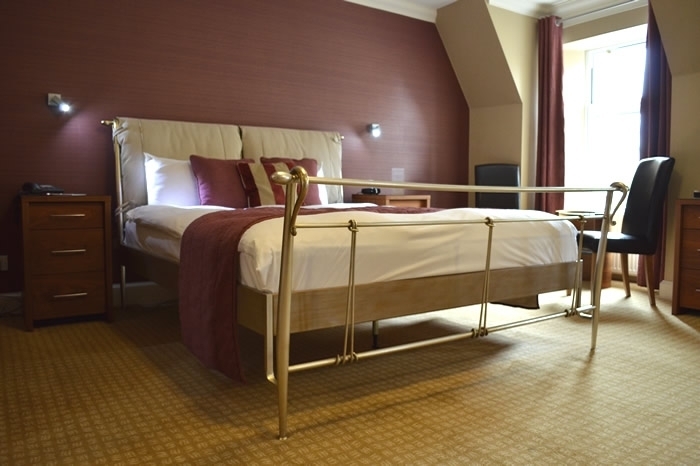 The upper floor has 9 en suite bedrooms, offering excellent accommodation for every requirement. All rooms have their own unique style, due to the traditional layout of the building. You will find all staff members to be approachable and friendly. 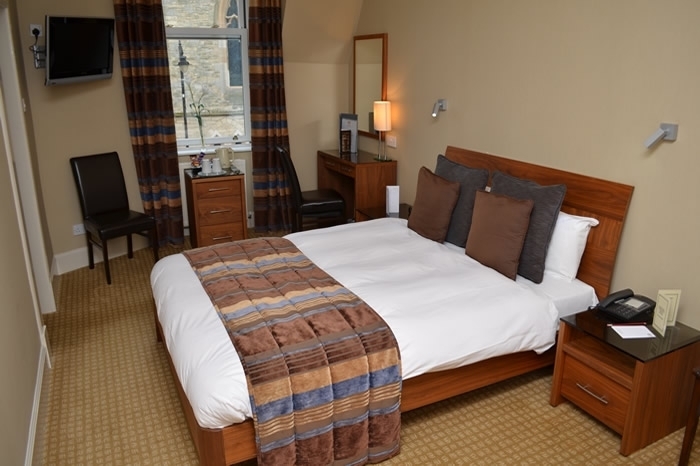 They are committed to keeping standards high and pride themselves on attention to detail and exceeding customer’s expectations throughout their stay.